An electric toothbrush which provides a clinically proven superior clean and comprehensive everyday cleaning. Up to 7,600 brush strokes per minute. Each tooth with bristles angled at 16° and 2D cleaning action oscillates to reduces up to 2x more plaque than a regular manual toothbrush. Runtime: 28 minutes or 1 week of 2 minutes brushing, twice a day. 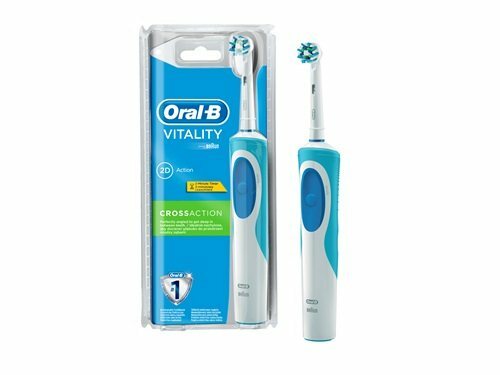 Comes with 1 pc toothbrush handle with 2-pin charger and 2 pc toothbrush heads.